As our previous grant comes to an end we are delighted to announce that The Kentown Wizard Foundation will be continuing to support Make-A-Wish® UK throughout 2019. 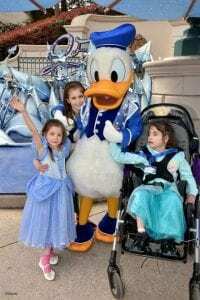 An additional grant of £250,000 will be gifted in order to fund the wishes of children living in the North of the UK who wish to visit Disneyland Paris. Children just like Connie. Connie, aged 6 from Stockport, was born prematurely and had a cardiac arrest at just two days old. Following this, she has been diagnosed with Cerebral Palsy, sight impairment, deafness and is tube-fed. 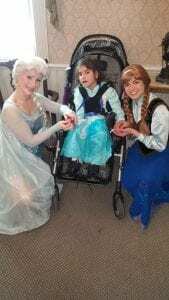 Disney songs and characters, especially Elsa from Frozen, are Connie’s favourite. She also loves fireworks, lights and sounds. 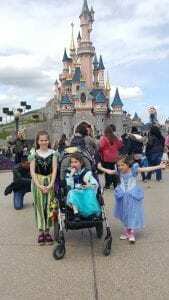 Her serious illness means travelling away from home can be difficult, and not all attractions and theme parks are equipped for Connie to access rides, so when Make-A-Wish UK gave Connie the chance to choose her One True Wish, a trip to Disneyland Paris was chosen. In April 2018, Connie’s wish came true. Afterwards, Connie’s mum wrote a letter to her Wishgranter, Laura, at Make-A-Wish® UK. First and foremost we would like to say a massive thank you for everything you have done for us. Connie’s wish truly was the trip of a lifetime! As you know, we didn’t tell the girls about the trip. The day before we left, I secretly packed the cases while daddy took the girls to see their grandparents. It wasn’t ‘til we were about a mile from the airport that my eldest, Caitlyn, realised. At which point the excitement trumped any sleepiness! At the airport, I handed Caitlyn the wish pack explaining what was going to happen, so that she could read it to Connie. Their faces were priceless (although I don’t think Connie quite understood at this point). The flight was quite emotional as we didn’t ever think it would have been possible! 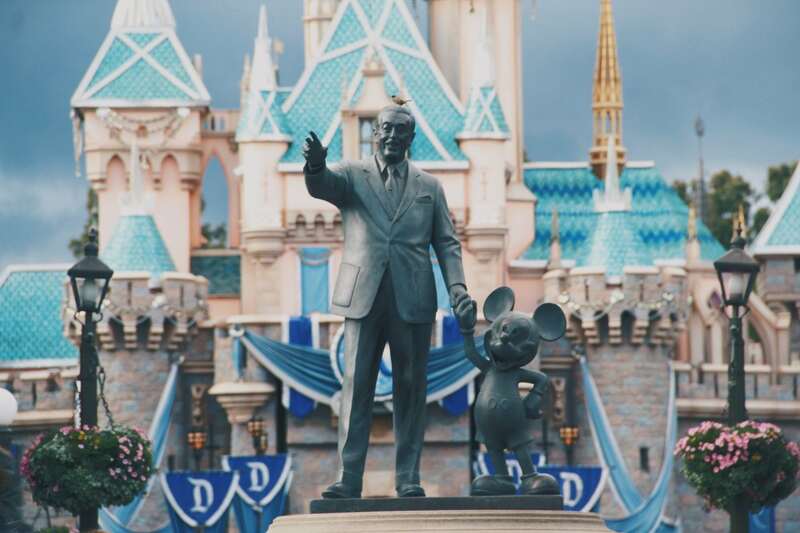 As soon as we started to see the signs for Disneyland there was a big buzz of excitement! As soon as the hotel staff saw we were on a Make-A-Wish trip he ushered us to a desk and summoned another staff member to check us in. She was amazing and made a really big effort with the kids. We decided to go to Walt Disney studios first, and kicked off with a meet and greet with Goofy. Connie loved the interaction and feeling the softness of his hands. We watched Mickey and the Magician. This was AMAZING. Connie was engrossed, it was thoroughly enjoyed by all. We then chanced our luck at meeting Moana, the queue was closed as Moana was finishing, but after making the staff aware of the Genie pass they ushered us straight in. On day two, we headed to the main Disneyland Park. There is nothing quite like walking down Main Street and seeing the Disney Castle. So magical! We went on so many rides and met so many Disney characters. The Genie pass was a real godsend. I thought that Connie’s disability might have limited her accessing the rides, but she was able to access the majority of them. Except for the big rides, she went on everything and enjoyed every single one. We headed to the City Hall for our ‘treat’ and, while we waited, a lovely staff member guided us around some nearby meet and greets, which made us feel like royalty! When it was time for the big treat, the girls were elated to be greeted by the REAL Anna and Elsa from Frozen! It was absolutely amazing (THANK YOU SO MUCH). After this, we went to find the Wish Lounge to give Connie some relief from sitting in her chair and give medicines and her feed. It was nice to have somewhere quiet and private to go. Once finished, it was time to go to our princess lunch. Connie LOVED meeting the mice and feeling their squishy noses. After some more rides (Buzz Lightyear was Connie’s favourite as she could sit in her chair for that one), we made our way to the disabled viewing area for the parade. The floats were amazing and Anna from our private meet and greet recognised us and gave the girls a special wave! It’s so bright and fun, Connie loved watching it. We stayed in the park until park closing time and watched the fireworks. The girls were all so good to last so long. We had the best time! On the last day, we started our day in the Disneyland park, visiting the attractions we hadn’t made it to the previous day. We finished off with the Walt Disney Studios and went to watch the motor stunt show which was very impressive! We then had one final meal at Planet Hollywood before heading back for our trip home. We had such an amazing time, words cannot describe the feeling it gave us watching Connie being treated like the princess she is. Never have we been away anywhere and it been so stress free. Connie was really well, she coped really well and the interaction was amazing. All of the kids had the best time and their faces say it all. THANK YOU so so much for arranging this all for us and giving us the chance of a lifetime. From the bottom of my heart, thank you.